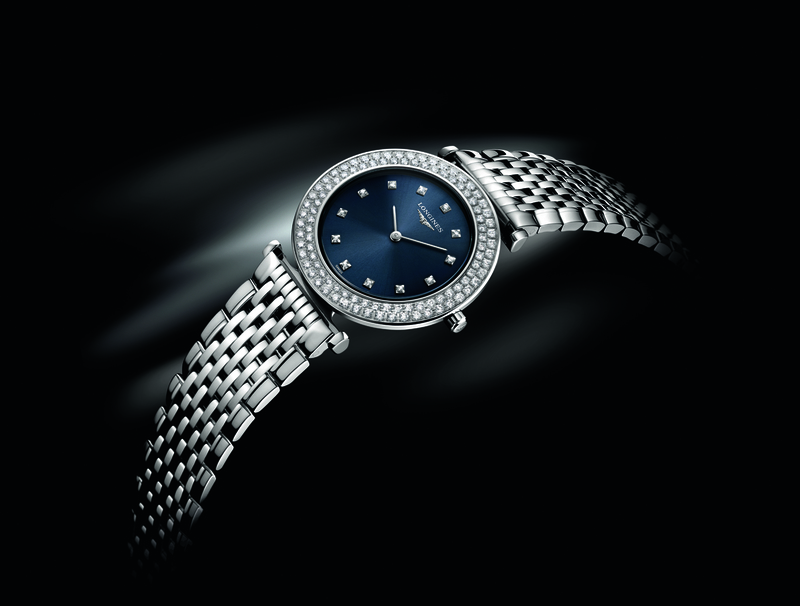 As a partner of the most prestigious flat races in the world, Longines was keen to launch a collection of timepieces to be worn amidst the excitement of the parade rings at Chantilly, Hong Kong, Royal Ascot or Dubai racecourses. As a tribute to the chronographs produced from 1881 on for race-goers and jockeys in New York, the famous Swiss watchmaker has now launched the Conquest Classic line. True to the brand’s values of elegance, tradition and performance, this new collection of models, all fitted with self-winding calibres, is at the same time totally contemporary and perfectly timeless. The “Conquest” brand was patented through the WIPO on 25 May 1954. Since then this name has been used for many successful models manufactured by Longines across the years. Today, Conquest Classic joins the brand’s other collections of classical beauty that have helped to make Longines’ reputation and success throughout the world. This new line is dedicated to those race-goers who share the excitement of the season’s most prestigious race meetings, from Chantilly to Hong Kong and from Dubai to Royal Ascot. Conquest Classic is available in three sizes. The ladies’ models have a diameter of 29.50 mm and show the hours, minutes and seconds as well as the date; they are available in steel, rose gold or in a combination of steel and rose gold. The black or silvered dial has applied 12, 6 and 9 numerals, lending this model a truly sporty look. The various versions are also available with a diameter of 40.00 mm. The mother-of-pearl dial set with 12 diamonds lends the ladies’ models an extra air of refinement, and in some models the bezel is also set with 30 diamonds. 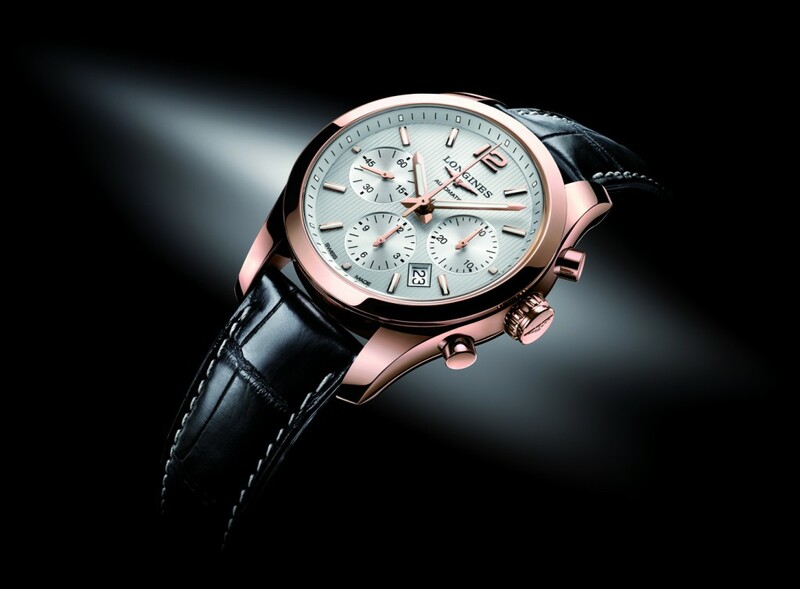 These models are fitted on black alligator straps or steel or steel and rose gold bracelets, each to match the dial. All straps and bracelets have a folding safety clasp. With a diameter of 41 mm, the chronographs are fitted with an L688 column-wheel movement specially developed and produced by ETA exclusively for Longines. The case is either in steel, steel and rose gold or rose gold alone. The silvered or black dial shows the hours and minutes, with a small seconds at 9 o’clock, date and chronograph functions: a centre sweep seconds, a 30-minute counter at 3 o’clock and a 12-hour counter at 6 o’clock. These chronographs are fitted on a black alligator strap or a steel or steel and rose gold bracelet, all having a folding safety clasp. 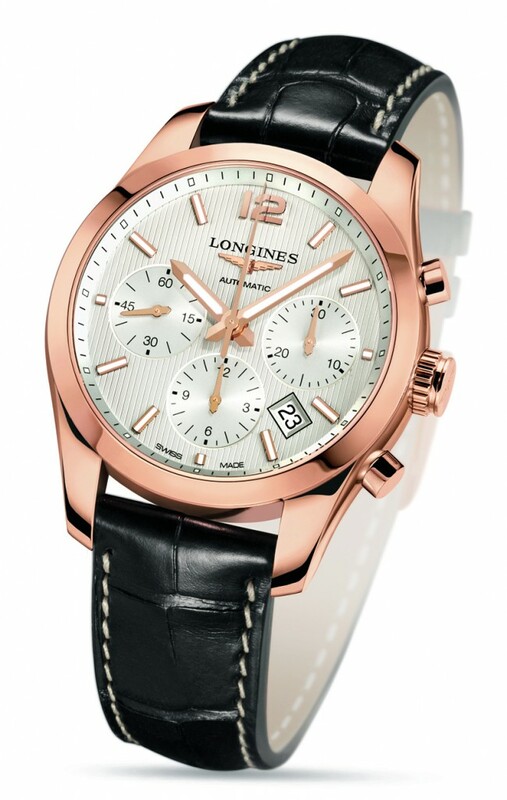 Longines has been based at Saint-Imier in Switzerland since 1832. Its watchmaking expertise reflects a strong devotion to tradition, elegance and performance. 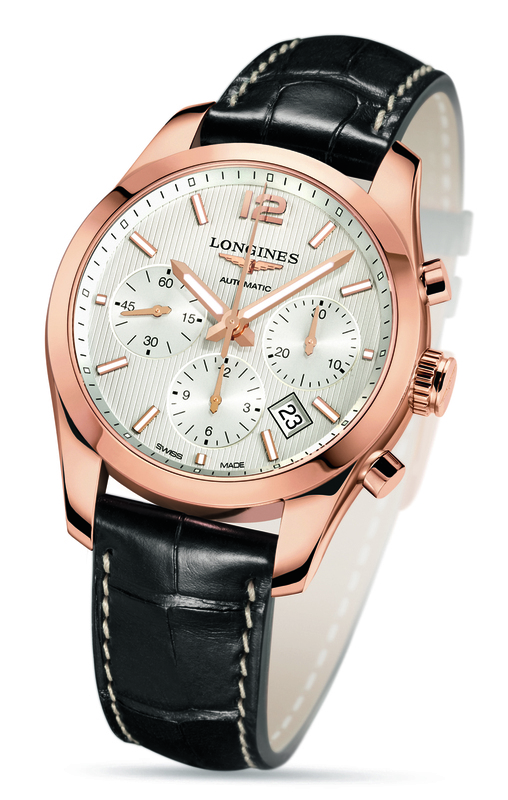 Longines has generations of experience as official timekeeper of world championships and as partner of international sports federation. Known for the elegance of its timepieces, Longines is a member of the Swatch Group Ltd, the World’s leading manufacturer of horological products. With the winged hourglass as its emblem, the brand has outlets in over 130 countries.